The foremost provider of natural and engineered stone surfaces in central London. 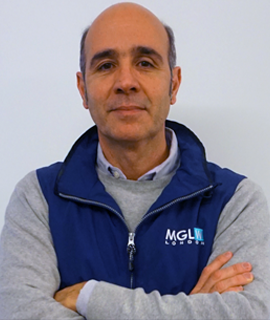 MGLW was founded in 1990 by brothers João and Rogério Moutinho. Over 25 years the company has always kept pace with changes in the stone market by regularly updating its range of natural and engineered products. 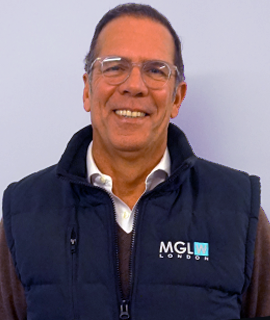 Today MGLW is the largest stone warehouse in central London, an industry leader expertly sourcing materials from all over the world to offer customers the best possible solution to their stone needs. Our range of natural stone includes marble, limestone, granite, slate and onyx among others. We travel the world visiting quarries, inspecting and selecting stone for stock and special orders, and constantly discovering new materials to suit changing tastes and technical requirements in construction and interior design. In line with technological developments in the world of surfaces we have also made engineered stone a major part of our business. We are agents for Compac engineered quartz products and have more recently added porcelain slabs to our range with Neolith – The Size. Engineered porcelain offers stunning imitations of natural marble as well as of other materials, such as concrete or wood, but with technical specifications that make this product suitable for almost every purpose. Please check our catalogue for some ideas on all of these materials. Our customers include architects, designers, stonemasons, developers and building contractors, as well as end users themselves. All are welcome to see our materials first-hand at our no-frills warehouse, where the stone speaks for itself. We offer a friendly and welcoming environment in Central London, where customers can take their time to choose exactly what they want, helped by our specialist, no-obligation, professional advice on how to achieve the best for every application or design. And if what you are looking for is not in stock, we can source it specially for you. Experts in all things natural stone, here to help your project to run smoother. Our vision is to import and distribute the most beautiful stone, from all around the world. We strive to provide only the best quality products and to continually add to our specialist knowledge. Whenever possible, we view material at the source before choosing to bring it back and make it accessible to you. This, in turn, allows us to maintain our extremely high standards. We aim to make the process of choosing beautiful, quality stone interiors as easy as possible. We bring some of the most unique and exotic materials from across the globe and make them accessible to designers, architects and enthusiasts alike.